*Results can vary from person to person. Many people carry scars from their past relationships. This then can affect our current relationship with sometimes devastating consequences. The time has come to let go of those past relationship issues and move on freely to start a new and better relationship with someone worthy of you. • Do you want to move on, leaving that awful time behind you? • Is it time now to sever that cord, to move forward in your life, free and happy again? • Won’t it be gratifying for your ex to see how wonderful and happy you now are? With Virtual Hypnotherapy, Dr. Karen Phillip speaks directly to your subconscious mind, enabling you to make the changes necessary to release the hurt and move forward. Don’t pay $180 for a room session, do it now for a fraction of the cost; and you get to keep it forever. Why is this Innovative Home Hypnotherapy Technique so successful? 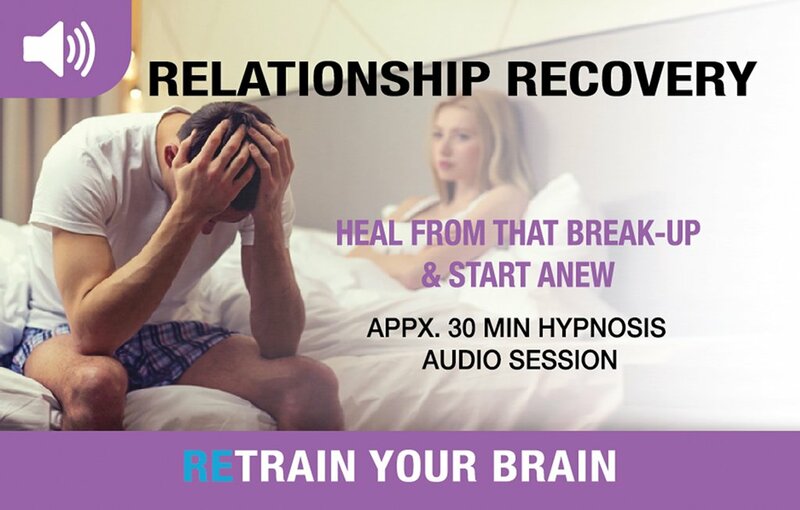 Hypnotherapy for Relationship Recover is a new technique, proven to deliver more beneficial results and enables both the conscious and subconscious mind to receive beneficial suggestions. Virtual Hypnotherapy is used around your schedule because the session can be listened to on your phone, computer or tablet device. This gives you the freedom to retrain your brain and recover in the comfort of your own home. It remains yours to keep. It is the subconscious mind sending negative messages to you, use this session to adjust these subconscious messages to resolve those past issues, allowing you to move on stronger and happier. We’re talking about tapping into the in-depth programming of your mind and rewriting that program to let go of old destructive memories and feelings. It’s easier to move on once you set your own criteria. A criteria is what you expect and need from a partner. Grab your FREE copy of popular eBook Designer Man to learn how to start setting your criteria to find that special man. Start your new relationship secure, trusting and happy. Session of approx 40 minutes duration. 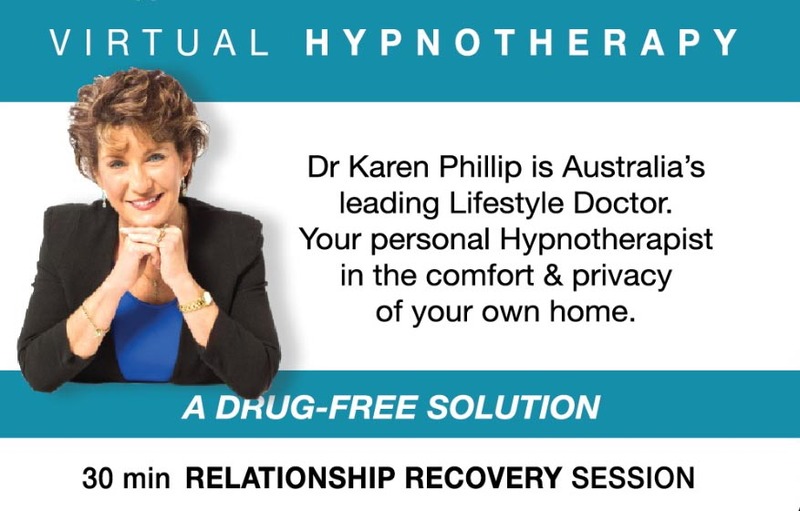 Dr Karen Phillip is one of Australia’s leading Hypnotherapists. 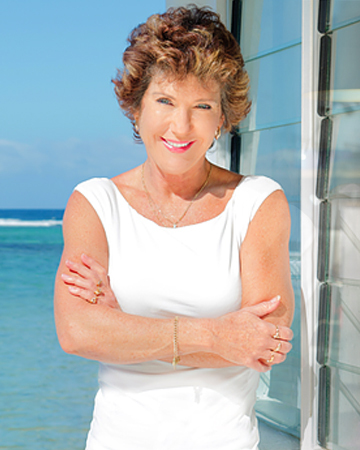 Dr Karen works with clients all over the world including Industry Leaders, high profile entrepreneurs and celebrities, assisting them to relax and reduce their anxiety levels plus manage and deal with a variety of other issues.